The Latin Patriarch of Jerusalem is the title given to the Latin Rite Roman Catholic Archbishop of Jerusalem. The Archdiocese of Jerusalem has jurisdiction for all Latin Rite Catholics in Israel and Palestine. In addition, the Eastern Catholic Churches of the Melkite Greek Catholic Church and Maronite Catholic Church have established dioceses for their faithful in the territories. The Patriarchate of Jerusalem is currently the only Eastern patriarchal title to be assigned to a Latin Rite bishop. The Latin Patriarch of Jerusalem does not head a sui iuris particular church but is rather a bishop whose see has as a permanent privilege the honorific title of patriarch, similar to the Patriarchs of Venice, Lisbon, and the East Indies. The title Latin Patriarch of Jerusalem was restored as a residential office in 1847 for Bishop Joseph Valerga. The Latin Patriarch of Jerusalem is now the diocesan bishop of Latin Catholics in the Holy Land, including Jordan and Cyprus. 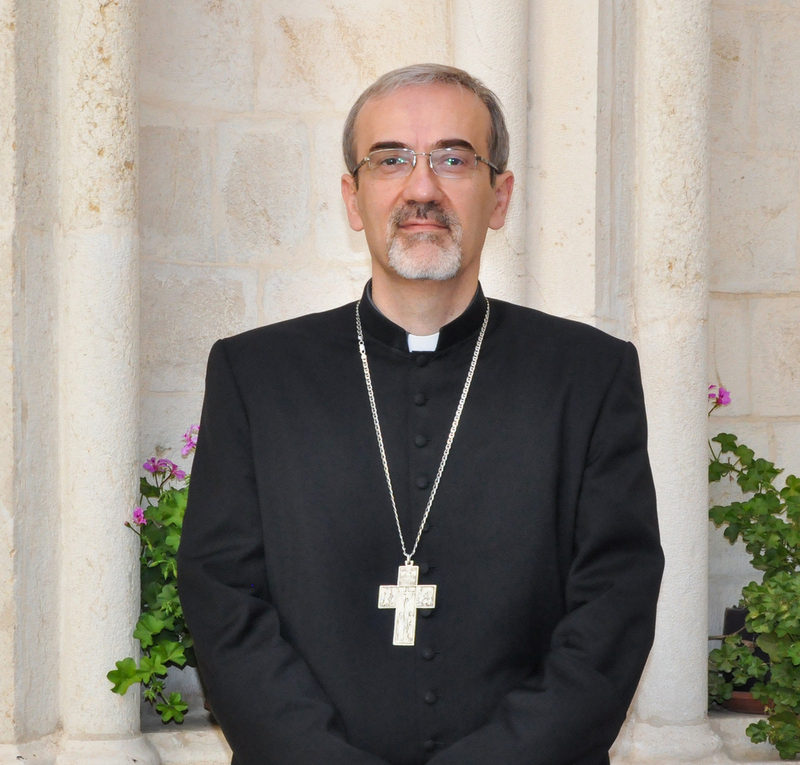 Until a new Patriarch is appointed, His Holiness Pope Francis has appointed His Excellency Archbishop Pierbattista Pizzaballa as Apostolic Administrator sede vacante of the Latin Patriarchate of Jerusalem in 2016 following the resignation of His Beatitude Fouad Twal, now Emeritus Archbishop and Patriarch, upon his reaching the canonical age of retirement. The residence of the Patriarch is in the Old City of Jerusalem, while the seminary, which is responsible for the liturgical education, was moved to Beit Jala, a town 10 km south of Jerusalem, in 1936. Today there are about 150,000 Catholic faithful within the patriarchate, which includes Israel, Palestine, Jordan and Cyprus. The Patriarch of Jerusalem is also, by virtue of his office, the Grand Prior of the Knights of the Holy Sepulchre, the president of the assembly of Catholic Bishops of the Holy Land, and the president of the Latin-rite bishops’ conference of the Arabic region.